Set finds himse lf in New York at a time when legendary characters walked the streets. One of these was E. Y. 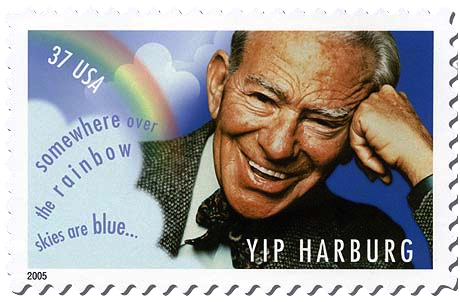 ‘Yip’ Harburg who later went on to write all the songs in the Wizard of Oz including Over the Rainbow and songs in Finian’s Rainbow. When Set meets Yip it is just after the Wall Street Crash. Finian’s Rainbow was made into a film in 1968. It was directed by Francis Ford Coppolla and starred Fred Astaire and Petula Clark. The screenplay by E. Y. Harburg and Fred Saidy is based on their 1947 musical of the same name. It is a fantasy about an Irishman and his daughter who steal a leprechaun’s magic pot of gold and emigrate to the United States, where they become involved in a dispute between rural landowners and a greedy, racist U. S. Senator.